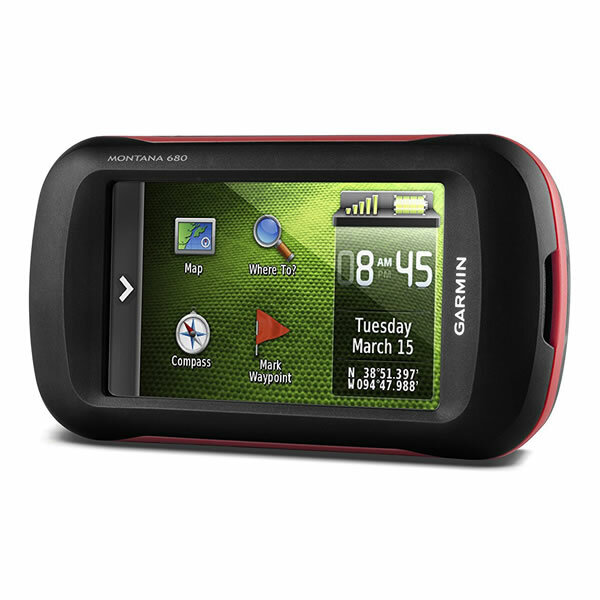 Garmin Montana 680 handheld GPS device is the perfect partner for walking/hiking. Plus with additional maps and mounts can also be used when driving, cycling and sailing too. Featuring a 4-inch colour touchscreen, the Montana 680t can be viewed either in landscape or portrait orientation. The Montana 680 includes a 3-axis electronic compass and barometric altimeter. The 680, like the 680t also includes a built-in 8 megapixel digital camera which geotags your photos with the location so you can view and navigate back to them in future. 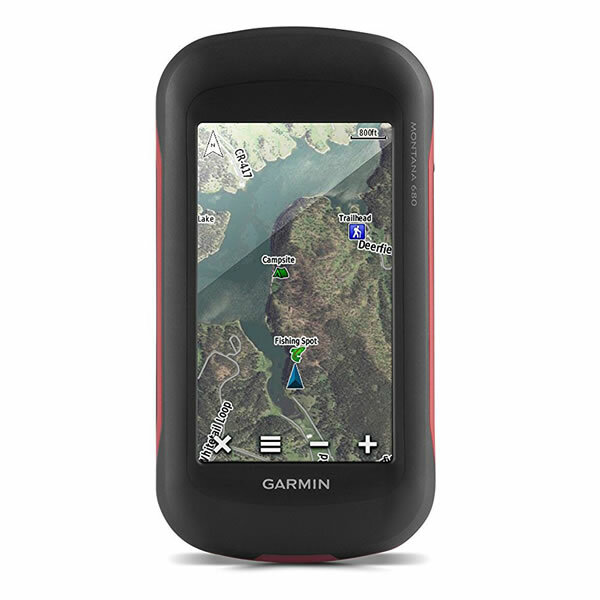 The Garmin Montana 680 is a very versatile GPS satnav device that is durable and waterproof to IPX7 standards. There is a 4-inch touchscreen which is dual orientation and the Montana 680T can be mounted on a bicycle, 4x4, boats, handheld, in-car, motorcycle or on an All Terrain Vehicle. It can be operated in all conditions withstanding bumps, dust, dirt, humidity and water. There is GPS and GLONASS satellite technology built-in to the Garmin Montana 680 that will enable you to quickly get a fix on to GPS satellites. Furthermore you will get a good GPS signal in urban areas where there are tall buildings and under heavy tree covered areas. Geocaching is possible with the Garmin Montana 680. It stores 250,000 geocaches from geocaching.com and you can do paperless geocaching eliminating the need for cumbersome use of paper and manual entering of coordinates. Simply find the geocaches on geocaching.com and you are ready to go. Track Manager App is a new feature on the Garmin Montana 680. The Track Manager App is for you to record, view and analyse where you are on your journey. 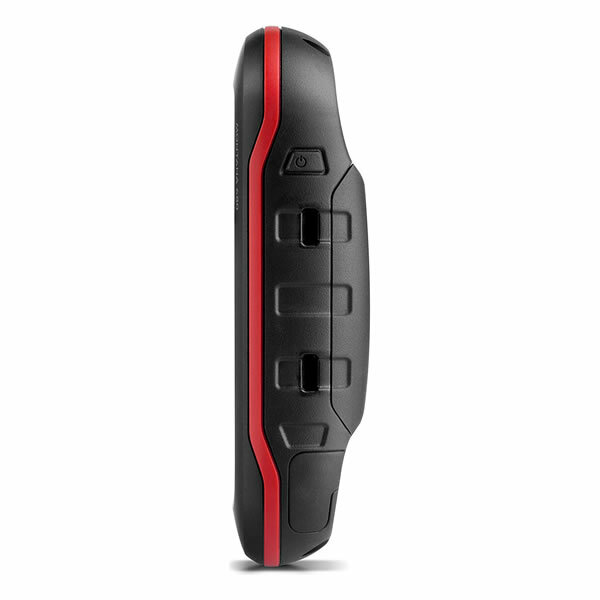 This maximises the user experience and provides you with more control over the journey taken. 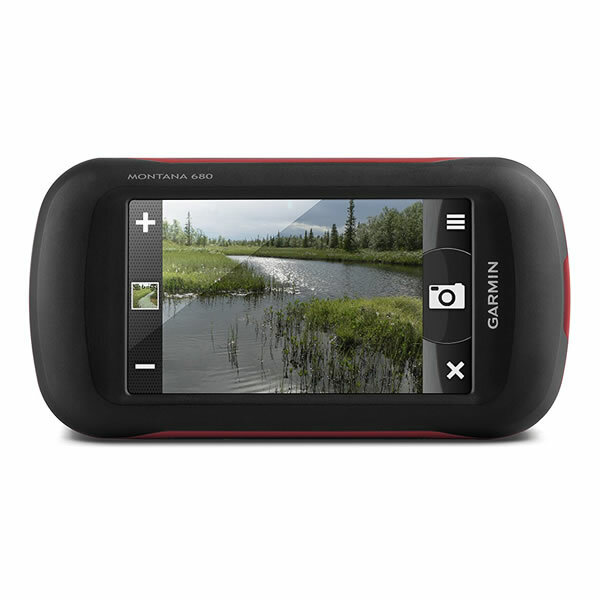 There is an 8 Megapixel camera on the Garmin Montana 680 that not only takes landscape and portrait photos but it also records a geotag providing you with GPS coordinates as to the exact location of the photos taken so you can navigate back to the exact location. Additional maps and charts are also available for the 680. Mapping options include: City Navigator street-level road maps, BlueChart g3 marine charts, TOPO map series and GB Discoverer Ordnance Survey LandRanger maps at 1:25k or 1:50k scale. Each of these maps are available on SD/microSD card for use with the Garmin Montana 680. Furthermore with Garmin’s Custom Maps you can transfer paper or digital maps into your device along with landmarks, points of interest, etc. This is useful with maps such as ski piste routes, mountain bike trails or favourite hiking trails. 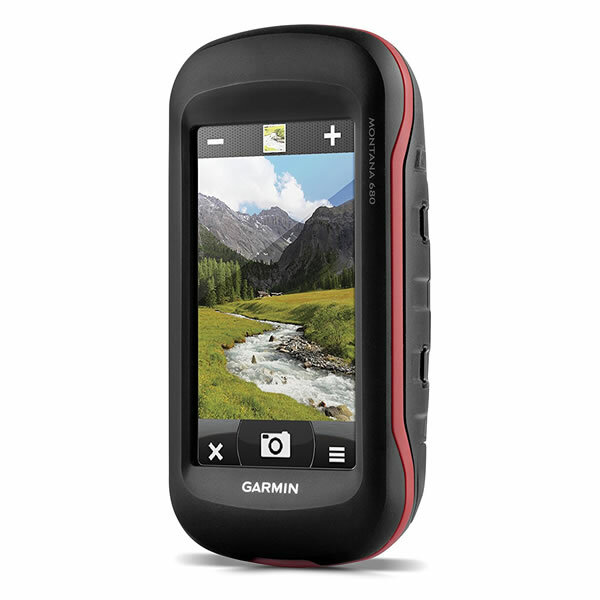 The Garmin Montana 680 features a dual-battery system; you can use the rechargeable lithium-ion pack or AA batteries. The battery life is 16 hours with Lithium-Ion and 22 hours with AA batteries making a total of 38 hours. To use the Montana 680 in varying places other than in the palm of your hand, a number of different mounts are available. These accessories include a handlebar mount ideal for using on a bike, a car mount and speaker for use in-car and marine mount when using on a boat. Do you have a question about the Garmin Montana 680 or other handheld GPS related question that's not been answered on this webpage? Please see our handheld and Outdoor GPS FAQs page for questions from other customers.Plus if the answer to your question isn't featured, use the online form to ask us for the answer. Alternatively please telephone 01733 777623 Monday to Friday (9:30am-5:00pm) to speak to one of our sales team. For further information online please see the Garmin Montana comparison table. 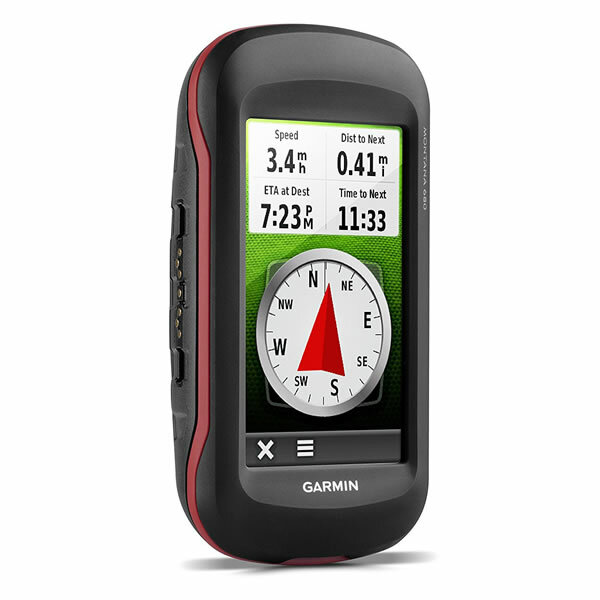 The Garmin Montana 680 features a built-in basemap. Additional pre-programmed Garmin maps on SD/microSD card can also be added including TOPO maps of 1:50K Great Britain, 1:25K Great Britain, France, Italy, Spain, etc. Learn more about the available maps for the Montana 680. If you want to buy the Garmin Montana 680 with preloaded topographical (topo) maps please see the Garmin Montana 680t. The Montana 680t is preloaded with topo maps for Great Britain and Europe at a scale between 1:100K and 1:250K. Looking for accessories to use with the Garmin Montana 680 handheld device? We sell a vast selection of genuine parts and spares including Montana 680 anti-glare screen protectors, carrying case, automotive suction cup mount, marine mount, Lithium Ion Battery, external GPS antenna and premium heart rate monitor. Garmin Montana 680 is preloaded with a Worldwide basemap with shaded relief. However, a number of other maps supplied on SD/microSD Card are also compatible including street-level road maps - perfect for using your Montana 680 in a car. Garmin Cycling maps Europe - perfect for cycling on and off road in the UK and mainland Europe. 1:50k and 1:25k Ordnance Survey maps - ideal for hiking and walking the countryside of Great Britain and marine BlueCharts - ideal if you want to navigate the waters around the UK, Europe or further afield. 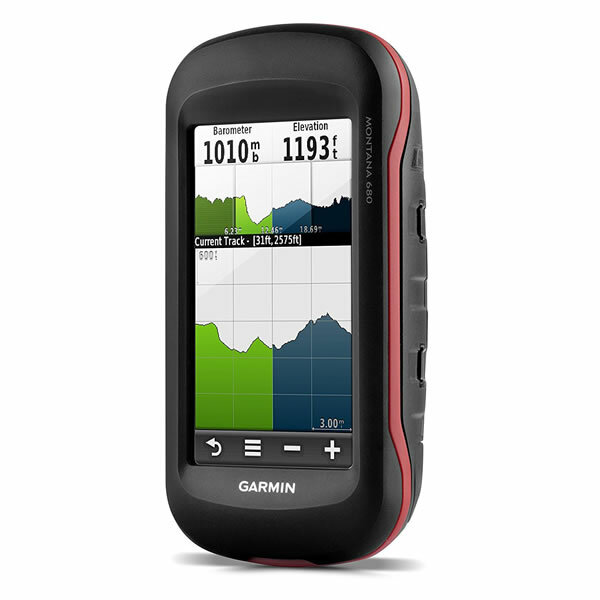 Do you have a question about the Garmin Montana 680? Submit your question via our contact page.